In February 2017, we took the FID to execute Phase 1 of the Kaikias deep-water project in the USA, and Phase 2 was approved in April 2017. Kaikias (Shell interest 80%) is a subsea tie-back to the Shell-operated Ursa platform. Phase 1 will include three wells and Phase 2 will add an additional well, which collectively are expected to reach a peak production of approximately 40 thousand boe/d. First oil is expected in June 2018 for both Kaikias Phase 1 and Phase 2. In December, Maersk Oil, as operator, announced the FID for the redevelopment of the Tyra gas field (Shell interest 36.8%) in Denmark. When completed in 2022, peak production is expected to be around 60 thousand boe/d. In January 2018, we announced the FID for the redevelopment of the Penguins oil and gas field (Shell interest 50%) in the UK North Sea. The decision authorises the construction of an FPSO vessel, which is expected to have a peak production (100%) of around 45 thousand boe/d. Also in January 2018, we announced one of our largest US Gulf of Mexico exploration finds in the past decade from the Whale deep-water well. 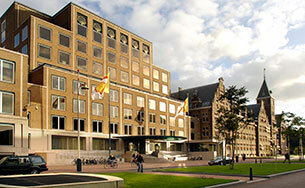 Whale is operated by Shell (60%) and co-owned by Chevron U.S.A. Inc. (40%). It was discovered in the Alaminos Canyon Block 772, adjacent to the Shell-operated Silvertip field and approximately 16 kilometres from the Shell-operated Perdido platform. Evaluation of the discovery is ongoing. In Brazil, we announced first production at the Lula South deep-water development (Shell interest 100%) via FPSO P66 in the Brazilian pre-salt block of the Santos Basin. Also in Brazil, together with our partners, we won 35-year production-sharing contracts for three pre-salt exploration blocks in the Santos Basin. Two blocks are adjacent to the Gato do Mato field (Shell interest 80% as operator) and the non-Shell-operated Sapinhoá field (Shell interest 30%), where Shell is already present, and the third is Alto Cabo Frio West (Shell interest 55% as operator). Also in Brazil, together with our partners, we announced the start of production testing at the Libra field FPSO in the Santos Basin. Petrobras, the operator, announced that the Libra consortium (Shell interest 20%) had submitted the declaration of commerciality and signed a contract to charter the first production FPSO of the north-west block of Libra, now called Mero. The FPSO is expected to have a capacity of 180 thousand boe/d and is scheduled to start production in 2021. In Nigeria, we announced first production at Phase 2 of the Gbaran-Ubie integrated oil and gas development (Shell interest 30%) in the Niger Delta region. Expected peak production is around 175 thousand boe/d. In the UK, the non-Shell-operated Schiehallion redevelopment (Shell interest approximately 45%) reached first production. In the USA, we purchased the Turritella FPSO (previously leased) for the Stones deep-water development in the Gulf of Mexico. Transitioning the ownership and operations of the vessel to Shell allows the company to pursue additional efficiencies and achieve cost improvements to deliver shareholder value at Stones with a continued commitment to operational excellence and safety. The FPSO has a daily production capacity of approximately 60 thousand barrels of oil and 15 million standard cubic feet of natural gas. In January 2018, we won nine exploration blocks in the deep-water bid round in Mexico, four blocks on our own, four with our partner Qatar Petroleum International Limited, and one with our partner Pemex Exploración y Producción. In Canada, we sold all of our in-situ and undeveloped oil sands interests and our 60% interest in the Athabasca Oil Sands Project (AOSP). 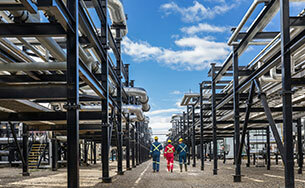 Separately, we acquired a 50% interest in Marathon Oil Canada Corporation, which holds a 20% interest in the AOSP. In the UK, we sold a package of North Sea assets in November. This consisted of our interests in the Buzzard, Beryl, Bressay, Elgin-Franklin, J-Area, Everest, Lomond and Erskine fields and the Greater Armada cluster, and a 10% interest in the Schiehallion field. In Gabon, we sold all of our onshore oil and gas operations and related infrastructure: five Shell-operated fields (Rabi, Toucan/Robin, Gamba/Ivinga, Koula/Damier, and Bende/ M’Bassou /Totou), non-Shell-operated interests in the Atora, Avocette, Coucal, and Tsiengui West fields, and the associated infrastructure of the onshore pipeline system from Rabi to Gamba and the Gamba Southern export terminal. In the USA, we sold approximately 5,300 acres and associated producing assets in the East Haley area of the Delaware Permian Basin in West Texas. In Ireland, we reached an agreement with CPP Investment Board Europe S.A.R.L., a subsidiary of Canada Pension Plan Investment Board, to sell our 45% interest in the Corrib gas project. 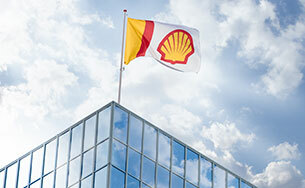 The transaction, which represents Shell’s exit from the upstream business in Ireland, is subject to partner and regulatory approval and is expected to conclude in the second quarter of 2018.